Liverpool is an ancient city that offers modern residents a superb blend of culture, heritage, leisure and economic opportunity. Over 800 years old, the city has held the titles of European Capital of Culture and World Capital City of Pop (The Beatles being a large contributing factor to the latter title). Present-day Liverpool is a thriving metropolis that attracts tourists from around the world. With World Heritage Sites scattered throughout the city, along with an excellent retail and restaurant scene, Liverpool has something to offer everyone. For sports fans, there are two football clubs (Liverpool and Everton), as well as the world-famous Grand National course at Aintree. Liverpool’s economy is one of the largest in the UK and is dominated by service sector industries including public administration, education, health, banking, finance and insurance. Tourism is also an important part of Liverpool’s economic offering; figures from the Liverpool City Region Local Enterprise Partnership show that the city’s 54 million annual visitors are now worth some £3.8 billion in income to the local economy, supporting more than 49,000 jobs. Liverpool’s economy was one of the most buoyant in the UK during 2015. By May, the city had already topped CV-Library’s league table of the strongest job growth in the country. Liverpool is a buzzing hub of entrepreneurialism and energetic startups. Santander chose Liverpool as the location of its first business incubator and Launch22 opened its first non-London incubator there. The SparkUp accelerator programme launched by the local Chamber of Commerce has encouraged the blossoming culture, positioning Liverpool as the north of England’s front-runner so far as new entrepreneurial talent is concerned. 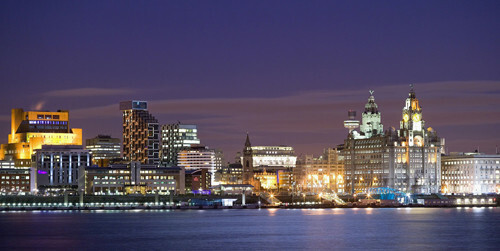 Physical regeneration schemes have accompanied Liverpool’s flourishing economy as part of the work of Liverpool Vision. The UK’s first urban regeneration company, Liverpool Vision was set up in 1999 to lead the physical transformation of the city. The results were impressive, with vast swathes of the city renewed, from individual projects such as museums, parks and stations to whole areas such as the Baltic Triangle and the Commercial District. Modern-day Liverpool is still benefitting from substantial regeneration work. The £35 million regeneration of Lime Street and £260 million regeneration of Anfield are just two examples of a city that is committed to its vision of a dynamic future as a key part of the UK economy. One hugely important strand of that future is the proposed Liverpool2 deep-water port, which has the potential to substantially alter distribution within the UK, as part of the £1 billion Superport logistics cluster. A new Chinatown project, new hospital and teaching school and also all on the cards. Such a robust cultural and leisure offering, combined with a welcoming business environment and clear commitment to the future, has seen Liverpool’s population expand rapidly in recent years. According to the World Population Review, Liverpool’s residents totalled an estimated 467,000 in 2014, making it the UK’s ninth largest city. The city’s growth in population, along with a demographic shift that has seen emerging young talent flock to the city, has altered the landscape of the city’s property market significantly. Youthful entrepreneurs are looking for high-end homes in perfect city centre locations. The result is a thriving rental market that has seen buy-to-let properties boom. The 2015 LendInvest Buy-to-Let Index placed Liverpool as the UK’s second best buy-to-let area in terms of rental yield, with prospective tenants in the city “happy to pay a little more to rent a really desirable property,” according to Martin & Co Woolton. Like much of the UK, Liverpool is experiencing vastly heightened demand for rental property. Martin & Co’s report showed 37% growth in tenant demand in the North West during 2015. At the same time as demand for rental property is rising, so too are property prices. Liverpool city centre saw prices rise by 10.81% over the past five years, according to Zoopla, and by 3.16% in the last year alone. It is this combination of healthy rental yields, rising tenant demand and increasing property values that has particularly caught the attention of buy-to-let investors in recent years. Liverpool has all the elements required by savvy investors looking to maximise the profits from their buy-to-let properties. A steady and sustained boom in buy-to-let is the result, with Liverpool positioning itself as one of the most important buy-to-let locations in the UK.